The US Department of State has issued the March 2018 Visa Bulletin. The DOS Visa Bulletin lists visa availability to let foreign nationals know when they can file an Immigrant Visa Application (DS-260) or Application for Adjustment of Status (I-485) to become a US Lawful Permanent Resident (LPR) (commonly known as a green card holder) based upon the immigrant petition filed by their relative, employer, self-petition, or under the Diversity (DV) Lottery. The dates listed are the Priority Dates for immigrant petitions (i.e., I-130, I-140, I-360, I-526, etc.) or the DV Lottery selectees’ case numbers. A visa is available if your priority date is earlier than the date listed for your category and country of chargeability, or if your DV Lottery case number is less than the number listed. Please note that I-130 petitions for Immediate Relatives (spouse, parent, or unmarried child under 21 of a US citizen) and I-360 petitions for abused children or spouses of US citizens are not subject to the Visa Bulletin, as there is currently no limit on visa availability for these categories. 1) First, find the appropriate section of the Visa Bulletin. If your petition is a family-based petition (i.e. I-130, I-360 for abused child or spouse of Lawful Permanent Resident) then you will be looking at the first two charts, the “Family-Sponsored Preferences” section. If your petition is an Employment Based immigrant petitions (i.e., I-140, I-526, I-360 for Religious Workers) or I-360 petitions for certain other categories (i.e., Special Immigrant Juvenile) then you will be looking at the 3rd and 4th charts, the “Employment-Based Preferences” section. The remaining two charts are for the Diversity Visa Lottery. 2) Next, determine which chart you may use within the section. In both the “Family-Sponsored Preferences” section and the “Employment-Based Preferences” section, there are two charts. The first chart lists the “Final Action Dates” and the second chart lists the “Dates For Filing”. The “Final Action Dates” chart list shows which petitions have visas currently available for them. The “Dates For Filing” chart shows petitions that do not currently have visas available for them but are sufficiently close to having visas available for them that beneficiaries MIGHT be able to file their I-485 or DS-260 application early, in anticipation of a visa becoming available for the petition. For those who are outside the US (or otherwise not eligible to apply for Adjustment of Status within the US, and therefore will be filing a Form DS-260 Immigrant Visa Application with the DOS National Visa Center), you may use the “Dates for Filing” chart in determining when you will be able to file the DS-260 application. For those who are within the US and meet all eligibility requirements to file a Form I-485 Application for Adjustment of Status, you will need to consult the guidance provided on the USCIS website’s “Adjustment of Status Filing Charts” page. This page provides monthly instructions on whether applicants may rely on the “Dated for Filing” chart, or whether they must wait for a visa to become available under the “Final Action Dates” chart. For the DV Lottery cases, the two charts work differently. The first chart, “Diversity Immigrant Category For The Month of [current month]” lists the DV Lottery rank numbers that currently have a visa available. The second chart “The Diversity (DV) Immigrant Category Rank Cut-Offs Which Will Apply In [upcoming month]” list those DV Lottery rank numbers that are predicted to become available next month. An I-485 or DS-260 application can be filed when the lottery rank number is lower than the lottery rank number listed in the second chart (the listing for the upcoming month). But USCIS or DOS cannot approve the I-485 application or issue the Immigrant Visa until a visa is available as shown on the first chart (the listing for the current month). 3) Locate the appropriate column for your country of chargeability. If your country of chargeability is not listed, that means that you would fall within the All Chargeability category. The DV lottery charts are is listed in rows by region instead of country, although some countries within a region will be listed separately. 4) For the “Family-Sponsored Preferences” charts and the “Employment-Based Preferences” charts, locate the appropriate row for your petition from the visa preference categories listed on the left (F-1 through F-4 for the Family-Based charts or 1st through 5th for the Employment-Based charts). 5) Compare the priority date listed on the Visa Bulletin to the priority date for your petition. If a “C” is listed, that means that visas are “current”, meaning available for all petitions in that listing for that month. If a “U” is listed, that means that visas are “unauthorized”, meaning visas are not available for all petitions in that listing for that month. For the DV Lottery, compare the number listed on the Visa Bulletin to the number listed on your Congratulatory Notice. The March 2018 Visa Bulletin becomes effective on March 1, 2018. Until then the February 2018 Visa Bulletin remains in effect. If you file an application for adjustment of status (Form I-485) too early, your application will be rejected or denied. Those filing Form I-485 Applications for Adjustment of Status should not use this chart without first verifying whether the USCIS Adjustment of Status Filing Charts from the Visa Bulletin allows for using this chart in March of 2018. * Employment Fourth Preference Certain Religious Workers (SR): On February 9, 2018, Congress signed a continuing resolution which extended the non-minister special immigrant program until on March 23, 2018. If Congress does not extend the non-minister special immigrant program by then, the final action date would immediately become “Unavailable” for March for all countries. No visas could be issued overseas, or final action taken on adjustment of status cases, after midnight March 22, 2018. Visas issued prior to this date will only be issued with a validity date of March 22, 2018, and all individuals seeking admission as a non-minister special immigrant must be admitted into the U.S. no later than midnight March 22, 2018. ** Employment Fifth Preference Categories (I5 and R5): The continuing resolution signed by Congress on February 9, 2018 extended this immigrant investor pilot program until March 23, 2018. If Congress does not extend this immigrant investor pilot program by then, he final action date would immediately become “Unavailable” for March for all countries. The I5 and R5 visas could be issued until close of business on March 23, 2018, and may be issued for the full validity period. No I5 or R5 visas may be issued overseas, or final action taken on adjustment of status cases, after March 23, 2018. There was no change made in this chart from last month. USCIS and DOS can approve pending Form I-485 applications and Form DS-260 applications under this chart during the month of March 2018. This chart should be used by eligible applicants to determine if a Form I-485 application or Form DS-260 application can be filed during the month of March 2018. Join The Immigration Answer Man – Ari SauerFacebook Page for regular updates. 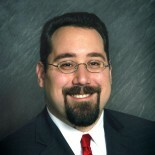 This entry was posted on February 18, 2018 by Immigration Lawyer Ari Sauer - The Immigration Answer Man in Department of State, DOS, DOS Visa Bulletin, Immigrant Visa, Immigrant Visas, Permanent Residence, Permanent Resident, Visa Bulletin, visa numbers, visas and tagged Diversity Visa, DOS, DOS Visa Bulletin, Employment-Based Immigration, Family Based Immigration, Visa Availability, Visa Bulletin.